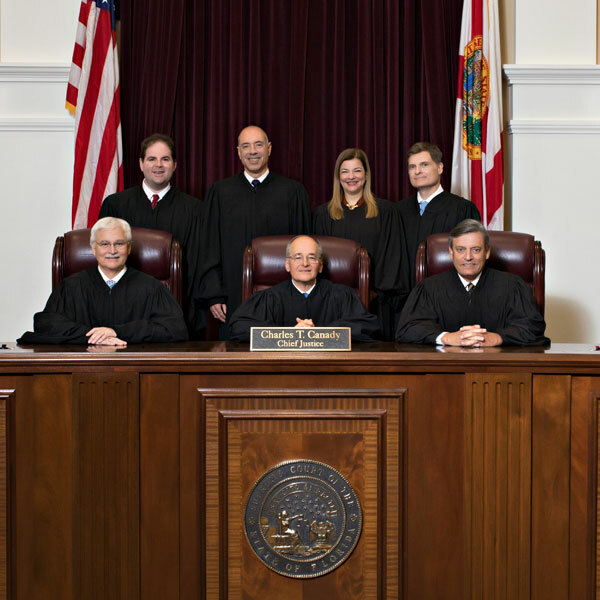 Like all judges, the Justices of the Florida Supreme Court are required by law to observe very strict ethical standards -- far stricter than for any other public official. These standards absolutely forbid the Justices and their legal staffs to talk with anyone about pending cases or to explain or elaborate upon an opinion the Court has issued. We understand that many people would like to talk to the Justices and their staffs about cases, but the Constitution and laws of Florida actually prohibit this practice. The reason is that all judges are expected to be absolutely impartial and, as a result, are only permitted to talk about cases in the courtroom where all sides of the case are able to participate. Talking with only one side in a case is called an "ex parte communication," which is strictly outlawed by the rules of judicial ethics. In other words, any time a judge receives information about a case, all other sides in that case must be present and have a chance to respond. Judges also are not permitted to defend or elaborate upon cases the Court has issued. There are good reasons for this ethical restriction, too. Foremost, opinions are not "final" until several weeks after they are issued. During this period of time, the parties in the case are given a chance to file "motions for rehearing" -- court papers explaining why the parties think the opinion is wrong or contains mistakes. Until this process is finished, judges and their staffs are required by law to observe the same rule of silence that binds them before the opinion was issued. Second, Court opinions often leave "unanswered questions" that did not need to be addressed because they were not important to the facts of the case. Many people understandably would like to know what the Justices or their staffs think about these unanswered questions. However, all judges and staff members are expected to remain absolutely neutral about legal questions that have not yet been resolved. If they publicly said they would decide an unresolved question a particular way, then that remark would be interpreted as prejudice against people who hold the opposite view. These judges might even be forced to step down from hearing any future cases involving that issue because of their prejudice. Please do not be offended if the Justices and their staffs will not talk with you or respond to your call, letter, or E-mail about a case. They are simply following what the law requires. If you feel you must talk with someone about a case, please refer all of your communications to the Clerk of the Court at (850) 488-0125. Or you may mail your comments to The Clerk of the Court, Supreme Court of Florida, 500 S. Duval St., Tallahassee FL 32399.